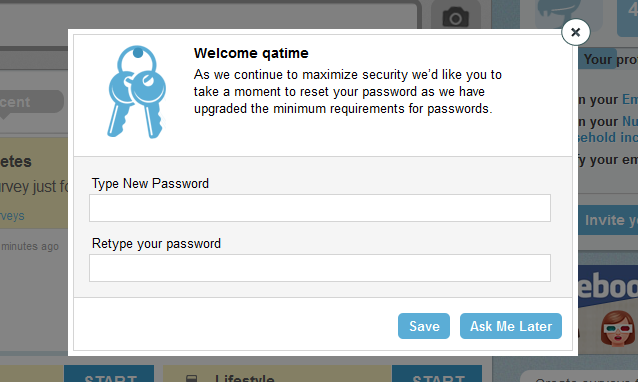 You may have noticed over the past few days that we have upgraded a few security features here on Toluna. As a result, passwords must are now required to contain letters and numbers as well as being different from the username. If your current password does not meet the new requirements, you will be prompted upon your next login to update your details. In addition, if you forget your password, you will no longer be sent a reminder but will create a new password which you will then confirm. These changes are designed to increase the security of your Toluna accounts and the entire community. Please don’t hesitate to contact our Helpdesk with any questions or comments.